Mountain bike nationals will head to Winter Park, Colorado, in July. U.S. Pro road nationals return to Knoxville, Tennessee. USA Cycling confirmed its calendar of 2019 national championships this week, laying out the dates and locations for next year’s races. After BMX nationals kick things off in March in Rock Hill, South Carolina, the schedule rolls on with at least one championship event every month for the rest of the year. Highlights from the unveiling include the news that mountain bike nationals will head to Winter Park, Colorado, from July 23 to 28. U.S. Pro road nationals will return to Knoxville, Tennessee, for the final weekend of June, just a few days after amateur road nationals, which will head back to Hagerstown, Maryland again in 2019. Cyclocross nationals will close out the 2019 schedule in Tacoma, Washington, from December 10 to 15. “The races are guaranteed to be thrilling and rewarding to watch. 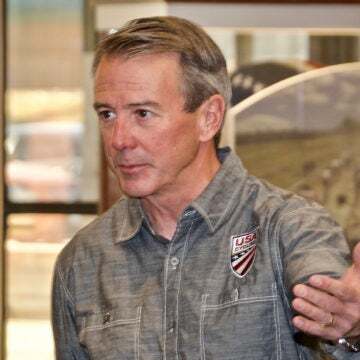 And, for the elite-level riders, the 2019 national championships will be key with the Tokyo 2020 Summer Olympics one year away,” said USA Cycling President Derek Bouchard-Hall via a press release. Marathon mountain bike nationals and para-cycling road nationals comprise the short list of events whose details for the coming season are yet to be announced.